Katie Rogin grew up in New York amid a family of art dealers, fiction writers and journalists. Her writing spans old and new media. She wrote for ABC’s One Life to Live for which she won a Writers Guild of America award. One Life to Live was created by Agnes Nixon and aired on ABC from July 15, 1968 to January 12, 2012. Katie wrote, directed and produced the short film In A Blue Mood which screened at Urbanworld, the IFP Market and the Austin Film Festival. In A Blue Mood stars Nathan Purdee as Carlton, Marva Hicks as Iris, Tony Award Winner Roger Robinson as Carlton’s unwelcome companion, Kristina Lear as Iris’s best friend, and introduces Ashlee Gillum as Iris in her pre-teen days. The soundtrack features Ella Fitzgerald, Thelonius Monk, John Coltrane, Harry “Sweets” Edison, Ben Webster, and Anita O’Day. Katie also wrote the historical mystery game SPQR: The Empire’s Darkest Hour which was published by GT Interactive. SPQR is a Myst-like historical puzzle-adventure-mystery game that takes place in and around the ancient Roman forum in 205 AD. Told through the journal entries of five characters and supported by detailed reference texts, the story unfolds over the course of an entire year. The player moves through a beautiful 3D recreation of the ancient Roman forum that was developed by architects from the Digital Design Lab at Columbia University’s School of Architecture. Katie has published fiction, essays and criticism. 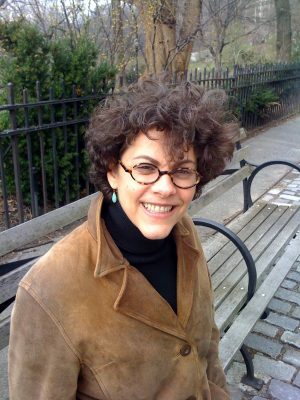 Her work has appeared in VICE’s Tonic, PANK, Intellectual Refuge, Quartz, The Rumpus, The Chattahoochee Review, The Millions, The Brooklyn Rail, Streetlight, Terrain and Sports Illustrated. Katie’s father Richard Rogin and uncle Gilbert Rogin were both journalists and fiction writers. Rich published short fiction in Harper’s Magazine while working for magazines, newspapers and ABC News. His journalism focused on New York City and included the seminal New York Times Magazine story “Joe Kelly Has Reached His Boiling Point: Why the Construction Workers Holler ‘U.S.A. All the Way!’”. Gil published 33 short stories in The New Yorker, as well as a story collection and two novels with Random House. He had a long career at Time Inc., writing and editing for Sports Illustrated, People, Life, Fortune and Discover. He also helped launch the hip-hop magazine Vibe with Quincy Jones. Katie’s mother Anne Adler Rogin is an art dealer and interior designer, as was her grandfather Abraham M. Adler, co-founder of Hirschl & Adler Galleries. Katie has also worked as a creative director, digital strategist and strategic planner for various advertising agencies. Katie Rogin received an M.A. in Liberal Studies from The New School. She lives in Brooklyn.